To spread kilig for everyone on Valentines’ day, Grab, has designed several GrabCar vehicles to sport a Valentines-inspired look that’ll delight passengers with free rides. 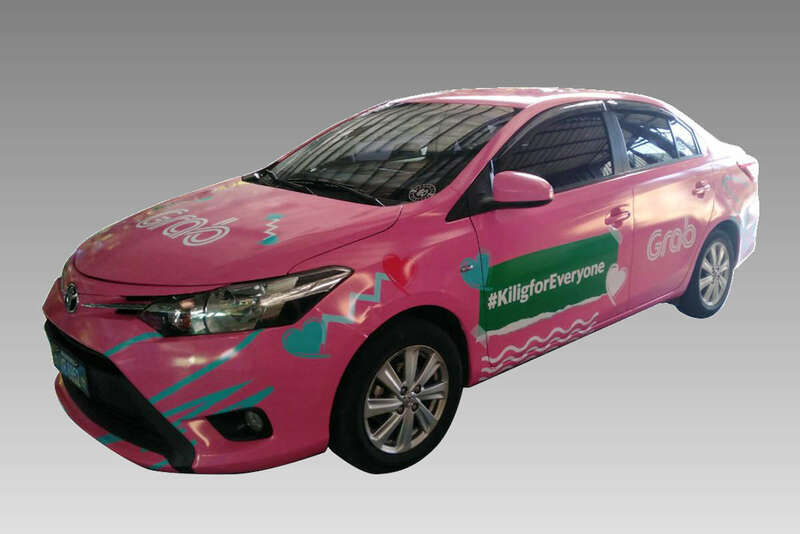 Thirty Kilig cars, GrabCars with specially marked pink and green wraps will, for February 14, give free rides to random yet lucky passengers. On top of that, they get P 200 worth of GrabCar, GrabFood, and GrabExpress promo codes. “As we celebrate the month of love, we are mindful that kilig is for everyone. This is why we decided to up our kilig game and bring onboard other daily services such as GrabShare, GrabFood,GrabExpress and GrabRewards to complement this year’s ultimate GrabBae experience,” said Brian Cu, Grab Philippines’ President. “Bringing these Kilig cars in Metro Manila will bring a better Grab experience for our passengers,” Grab Philippines President Brian Cu said. Grab will also be having the “GrabBae Experience.” A total of 70 GrabBaes (50 in Metro Manila Manila, 20 in Cebu) will serenade and surprise Grab consumers this season of love. Grab has also expanded its Valentine’s campaign to its other daily services, such as GrabShare, GrabFood, GrabExpress, and GrabRewards. GrabShare users will have a chance to share a ride with a charming GrabBae, who will surprise passengers with a special Valentine’s present and Grab vouchers. On the other hand, those who ordered GrabFood may receive a sweet treat. GrabExpress will also have suprise kilig raids in malls, train stations, schools, and offices to give out flowers and free P 14 GrabExpress vouchers. “As the everyday app for Filipinos, we are dedicated to bring more delightful and rewarding experiences to our consumers and improve their overall Grab experience,” Cu said.